Happy International Anti Homophobia Day! Here’s a few (lack of) homo tolerance stories you might be interested in. 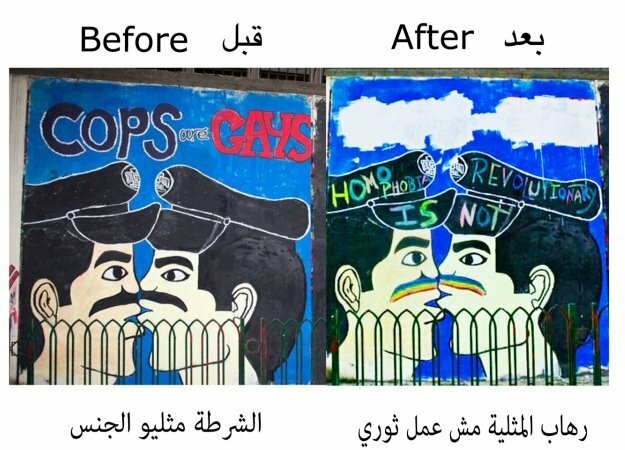 First off, did you hear about the Egyptian activists who not only turned homophobic graffiti into examples of homo acceptance, but also launched a twitter campaign? Read all about it at the great Free Arabs site. Also, while generally human rights are not improving at a stellar rate in Vietnam, it seems society is rapidly accepting its queer community. Andrew Sullivan tells us of last year’s first Gay Parade, an openly transgender contestant joining the hit show Vietnam Idol and a Youtube series called My Best Gay Friends becoming a huge success with over 1.000.000 viewers per episode. For a full write up go the the Dish Blog. Sadly, happy news doesn’t reach our ears from all countries. For instance, today a pride rally in the Caucasian Republic of Georgia was stopped by thousands of anti-gay protesters led by Orthodox priests.